This story was originally published on October 14, 2016. Amani Al-Khatahtbeh is a mover and shaker. When she was a senior in high school, Al-Khatahtbeh was fed up with the lack of pop culture centering on Muslim girls like her. So she created her own website from her bedroom in New Jersey to talk about the things she and her friends cared about. Today, MuslimGirl.com still publishes daily articles about politics, body image, and pop culture from modern Muslim women’s perspectives. 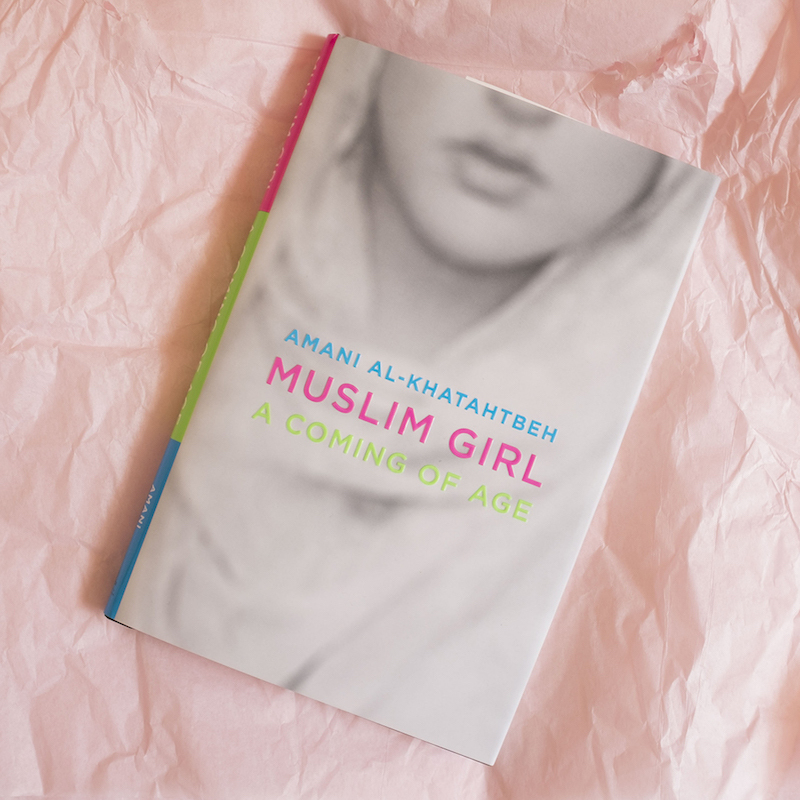 This month, the now-24-year-old Al-Khatahtbeh publishes a punchy memoir, Muslim Girl: A Coming of Age. The book starts out with Al-Khatahtbeh’s vivid memories of being a fourth grader on 9/11, a day that suddenly made life harder for Muslims in the United States. I talked with Al-Khatahtbeh recently about her hopes for the book, her relationship to pop culture, and how young people are changing the country for the better. On the phone, Al-Khatahtbeh is a fast talker whose conversation sparkles with strong opinions and new ideas. Reading this book, it felt to me like you were really gearing this book toward young, Muslim American girls. But I’m 30 and not Muslim and it was still really interesting to me. Can you tell me about who you were imagining yourself writing this book for? It’s two-pronged. I was hoping that through this book, I would make the experience of being a Muslim woman navigating Islamophobia in a post-9/11 era accessible to people who otherwise feel like they might not be able to relate it. But the purpose of writing this book is of course with Muslim girls in mind. This is our moment. I was thinking about the Muslim girls who might not be represented in books or in the feminist movement being able to get their hands on it—they have a voice in the conversation, too. I want it to be something that’s held near and dear to the hearts of Muslim girls, but it’s also for people on the outside looking in. One thing you point out in the book is how few Muslim girls there are in pop culture. When you were growing up, did you have any characters in books, music, movies, or TV that you really connected with? I really don’t think I had any. I felt lost growing up. That’s an experience that’s really understated, because it’s hard to identify, but that absence of having figures who look like you, who you’re able to identify [with] in pop culture—I think it really does something to you when you’re missing from that picture. I recently did an interview with Zareen Jaffery, who’s an editor at Simon & Schuster. She’s the editor of this new imprint they have called Salaam Reads, which is for books with Muslim characters as their central theme. She said that one of the ways you rob people of their humanity and make them feel like they’re monsters is by not allowing them a reflection of themselves. I think that really speaks to the experience of Muslim kids, especially after 9/11 happened. Not only did we [not] have much representation, but the representation that we did have was entirely negative and antagonistic. I think that has a tremendous impact on how we view ourselves in relation to our society as we grow up. A lot of this book is about being young and youth culture. How do you feel like your perspective on American pop culture and media is different than a Muslim woman who was born 20 years earlier? I think our generation of Muslims in the United States is defined by this tremendous creativity and innovation. I think that is pushed by the experience of growing up after 9/11. It’s kind of reactionary. We have sought these creative outlets not only to impact the representation of Muslims in society, but also to shape our own identities and develop that for ourselves. You’ve really become a public figure on these issues; you talk in the book about being a bit reluctant about that. What kind of pushback have you seen to your work when you’re on book tour or on TV, and how do you navigate that pushback in way that’s healthy for you? The pushback I receive that bothers me the most is when audiences say something like, “You’re busy talking about Islamophobia and meanwhile you should be talking about the violence imposed on women in Muslim countries,” or “you should be talking about terrorism.” I think that type of criticism is so bigoted. It’s saying: Our form of violence against women is better than the developing world’s violence against women. They’re parallel experiences. Muslim women especially have been oppressed across the board. One of the most ludicrous pushbacks that I received was after some speaking event, and my Twitter feed was flooded with people trying to undermine what I was saying by saying that I couldn’t actually be a Muslim woman. They said, “Oh you’re just wearing that thing on your head because it’s a trend,” and “you’re actually a white woman just pretending to be Muslim.” As if I can only speak about liberation and freedom through Islam if I’m actually a fake Muslim. That proves that people want to see Muslim women as fitting within a box and they’re not actually listening to what we have to say. 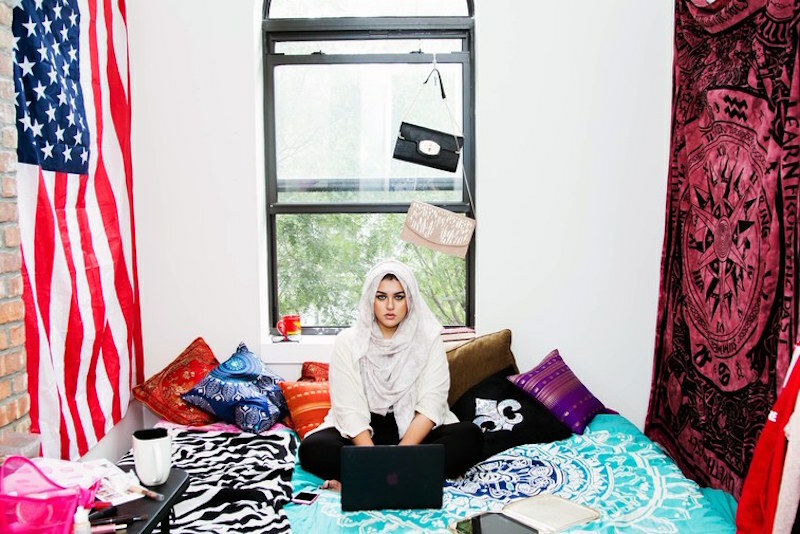 This is part of a bigger conversation about the lack of diverse representation in our pop culture in many ways, but I think Muslim Girl really shows that there is a HUGE market of media consumers who are Muslim girls and women who want good TV shows, good books, good YouTube videos. And that’s totally overlooked by most mainstream media creators. Have you seen that dynamic change since you started Muslim Girl? Do you feel like the people who run film companies and publishing companies are waking up at all to this? I personally think the dynamic is changing and I think that owes a lot to social media. Brands, corporations, and even the media industry is recognizing that there is a demand for diversity. There’s this interest, especially among us, the woke generation, millennials, of seeing people that look like us in media, and we really value the impact that has on society—it really is a gateway to social change. One amazing moment I had this year was when I got the chance to speak on a panel beside Shonda Rhimes and Gloria Steinem. Something that Shonda Rhimes said that really stuck with me is that she hates using the word “diversity”—what she cares about is making her shows reflect the world around us. I think that really hits the nail on the head for the kind of media that we should seek. Relevant: Islam and Feminism Are Not at Odds. An installation by Parisian street artist Princess Hijab.